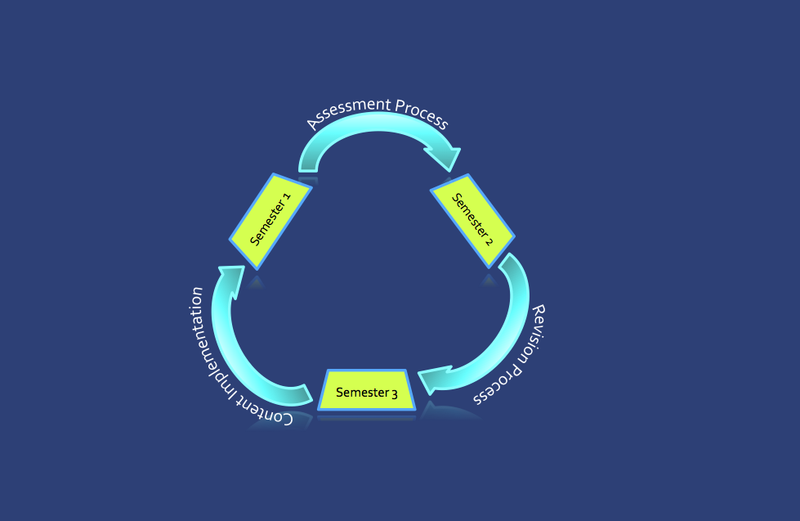 The SLO course assessment and revision cycle, has three distinct steps. In the first semester, we teach our course and assess the course at the end of the semester. In the semester two, we collaborate with our colleagues and make revisions to those courses. In semester three, course changes are implemented as needed.